Diaphragm seals are designed to protect the pressure gauges from hot corrosive process media and aggressive chemicals while minimizing any negative effect on instrument accuracy and durability. Corrosion can cause loss of integrity leading to pressure gauge failures. Tantalum is recognized as the most corrosion resistant metal commercially available. Tantalum can be applied by the proprietary Tantaline® treatment to produce a robust and cost-effective option for threaded, flanged, welded and sanitary diaphragm seals. Tantaline® treatment offers superior corrosion resistance in hot acids and chlorinated compounds. This has been shown to extend equipment service life, reduce maintenance costs and downtime in Chemical, Pharmaceutical, Oil & Gas, and Semiconductor industries. The Chemical Vapor Deposition (CVD) process used by Tantaline® produces a thin, uniform, tantalum layer that conforms to complex geometries and adheres to the base metal part through diffusion bonding. The typical 50 micron thick tantalum layer is chemically compatible in a wide range of corrosive fluids. The metallurgically bonded robust layer maintains the integrity while withstanding the high pressures and erosion corrosion conditions found in pipelines, vessels and process equipment. 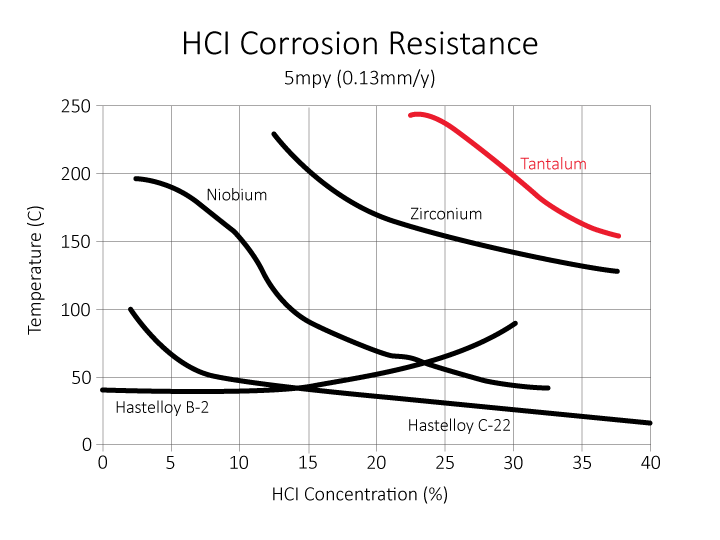 Tantaline® treated diaphragm seals offer superior high temperature corrosion resistance compared to Hastelloy®*, Inconel®** and Stainless Steel thereby reducing failures. These features result in diaphragm seals that can be offered as a substitute for the ones made from exotic alloys with more economical pricing and shorter lead times.